WASHINGTON—Expressing their frustration with the casting for the new Fantastic Four film, comic book fans across the country were reportedly adamant Monday that the superhero the Human Torch should be played by an actor who is actually engulfed in flames. 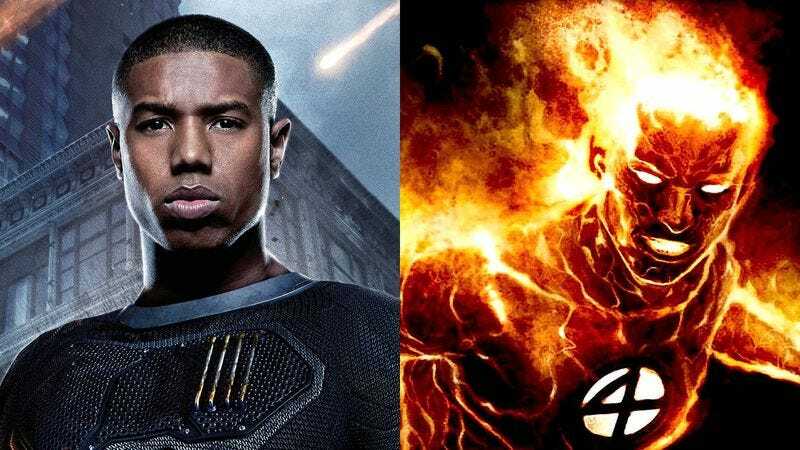 “They should have stayed true to the original comics and selected an actor whose entire body is on fire,” said longtime Fantastic Four fan Barry Reich, criticizing filmmakers for casting Michael B. Jordan, who, unlike the comic book version of the Human Torch, is not enveloped from head to toe in flames. “Hollywood screwed up big time. It makes no sense for Susan Storm’s younger brother, Johnny, to be played by a non-ignited man. Since 1963, the Human Torch has always been able to generate powerful streams of flames and fireballs, and to ignore that is insulting to Fantastic Four creators Stan Lee and Jack Kirby.” Comic book fans, however, reportedly commended Fantastic Four director Josh Trank’s bold choice to cast a hyper-intelligent actor with multiple scientific doctorates and an elastic body as Mister Fantastic.